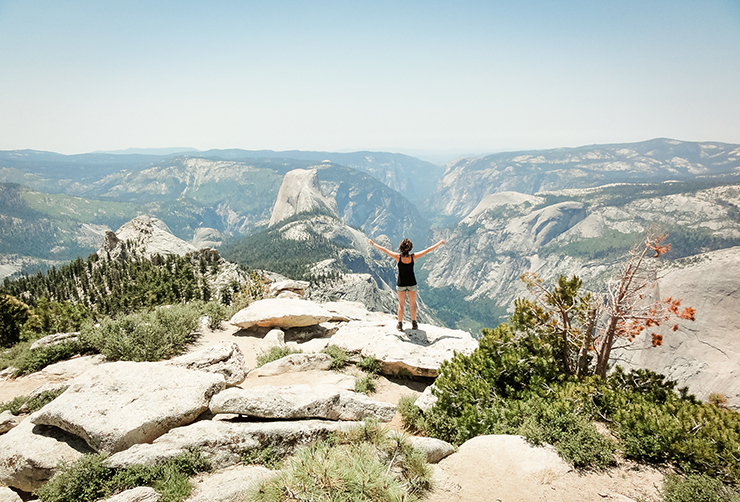 In Yosemite National Park you can so easily fill three days that it gets difficult after all. Indeed, there is so much to see and to do, so you’ll have to make choices. We’re happy to help with that! Here’s a useful selection of highlights, immediately presented in the ideal order for your itinerary. Get up early and hurry to the viewpoint Tunnel View. If you’re early, you can enjoy a unique light show all on your own – even in high season. The rising sun shines from behind the granite rocks and sheds the first light on this impressive valley. Guaranteed top photos! Sure enough, another winner in terms of lookouts! Also Glacier Point you should do early in the morning, before the place is flooded with day trippers. At an elevation of 7,214 feet, about 3,200 feet above the valley floor, you will be blown away at a glance by the natural wonders that Yosemite NP has to offer. The robust Half Dome clearly takes its place along the horizon. Be sure to count the waterfalls in the distance! The trail to Taft Point is a warm-up for the upcoming hikes. Short and relatively easy and yet you get madly rewarded: what a view! This place exceeded all our expectations. 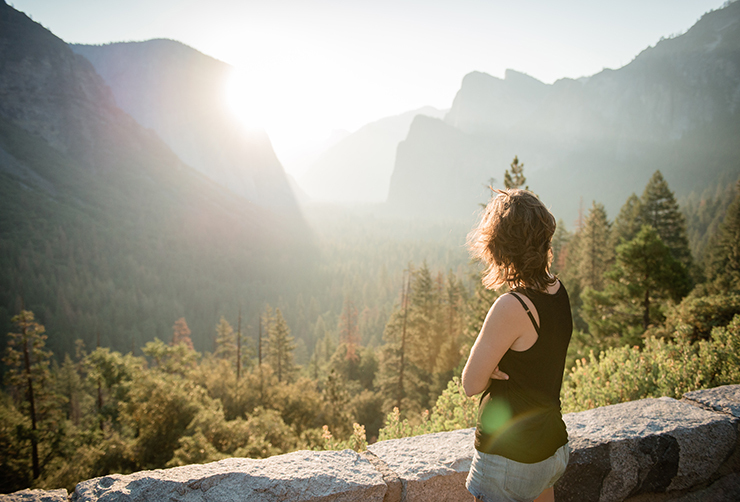 You look down – speechless and with trembling knees – from a huge cliff and enjoy a unique and panoramic view of the valley, including El Capitan and Yosemite Falls. If you are lucky and don’t start hiking too late, you may also enjoy ultimate solitude. 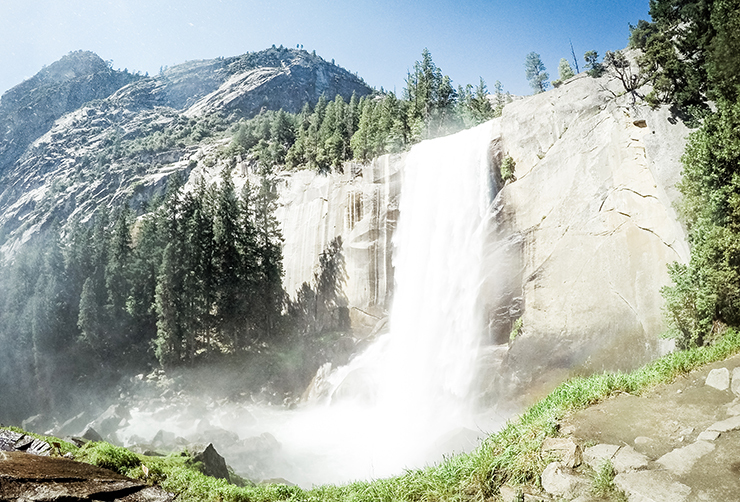 A visit to Yosemite NP isn’t complete without experiencing some waterfalls up close. Hiking the Mist Trail is the perfect way. Through the mist and rainbows you walk along the Merced River to two huge waterfalls. Expect a well-trodden path, especially to the first waterfall Vernal Fall. 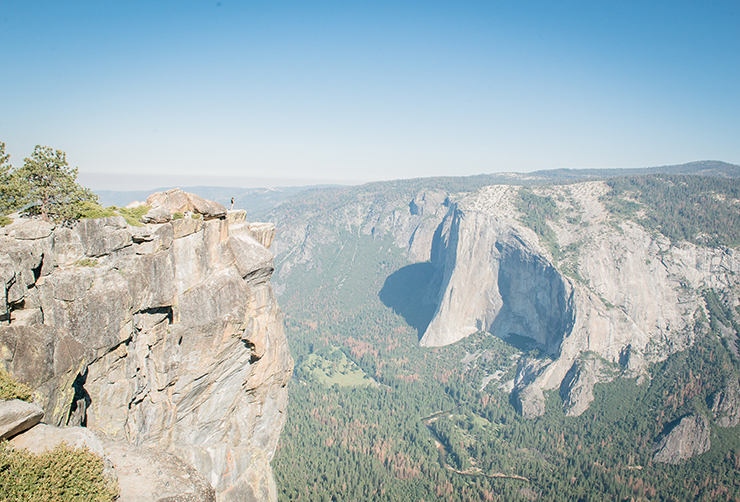 Put yourself through, you will clearly notice the diminishing crowds heading to Nevada Fall. Yes, you will be rewarded! 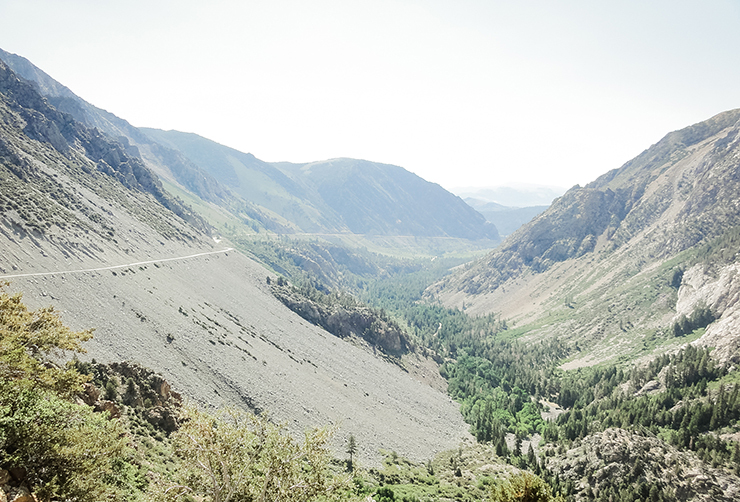 On day 2 you leave the central Yosemite Valley and drive east to Sunrise Lake trailhead. 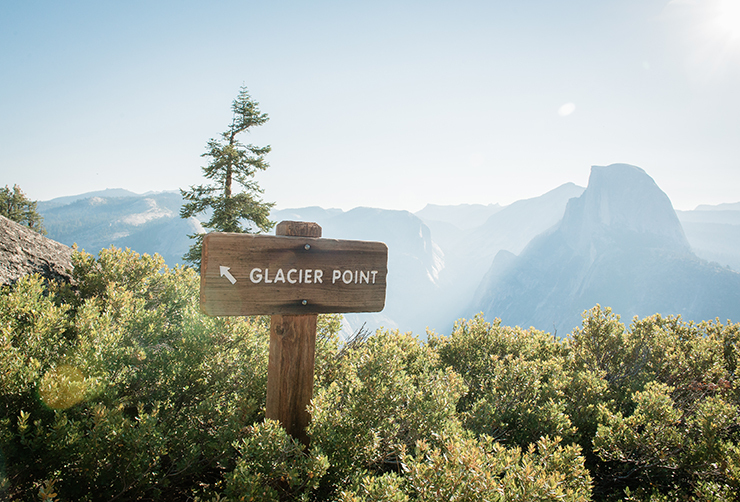 On the way, stop at Olmsted Point to take a first look at what to expect today: Cloud’s Rest. Tempting, isn’t it? Arriving at the Sunrise Lake Trailhead, you can park the car and leave for a day in pure natural beauty! Just before starting the hike to Cloud’s Rest, make a little detour to the wonderful Tenaya Lake. The rising sun turns the most beautiful reflections in the clear waters of this mountain lake. It’s now time for the ultimate highlight of your stay in Yosemite NP. An unforgettable trip through the varied nature of the park, with a breathtaking climax. 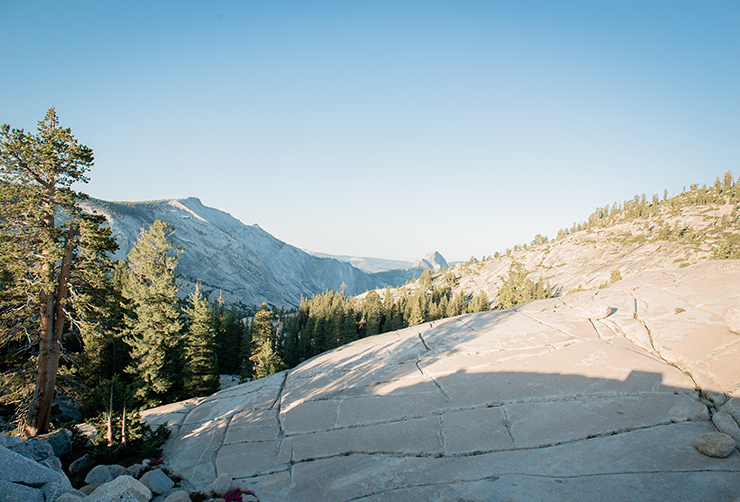 Cloud’s Rest is a must do and the perfect alternative to the more famous and therefore busier Half Dome! We still want to go back and hike this trail again! Afterwards you can spend the night in the nearby and quiet Tuolumne Meadows to resume the route to the east the next day. Drive along snow-capped peaks that tower above the infinite green forests contrasting with the fairy-talish bright blue lakes. Indeed, the combination just makes it picture perfect. This is one of the most beautiful roads in the world, so take your time! Add as many stops as you want, because it is really worth it! 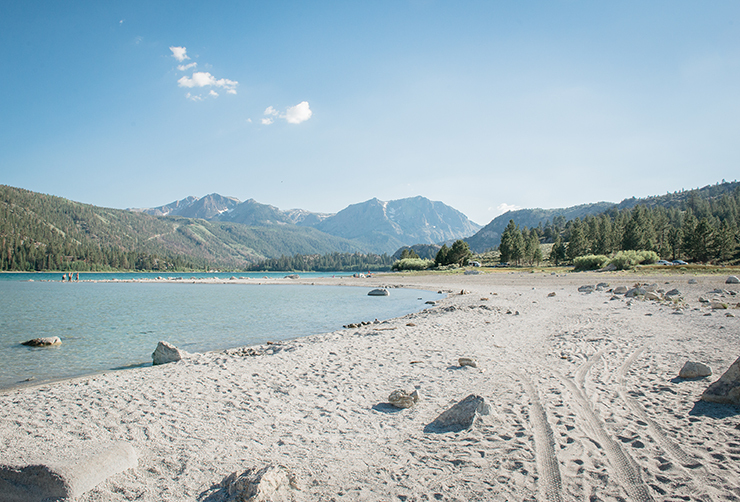 Although June Lake is in fact located outside Yosemite National Park, we certainly want to mention it in this itinerary. It’s the perfect place to end your adventure in one of the most unique National Parks, filled with the most dazzling views and hiking trails, overlooking a beautiful lake surrounded by impressive granite rocks. Definitely a must to camp here!